Naim Audio has a reputation for making products that are truer than most to music's temporal content: rhythm, pacing, the beat almighty. Beginning with their classic solid-state amps of the mid-1970s, Naim's designers have stressed, above all else, the reduction of distortions that puff up and pad the attack and decay components of musical sounds: Getting rid of those additives seems to clarify the timing relationship between different notes in a line, making music more compelling and easier to enjoy. 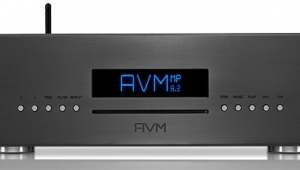 That their gear has historically favored musical content over sonic attributes is no shock to the Naim faithful. Naim also has a reputation for gear that's at least mildly idiosyncratic in use: products that march to their own beat in other ways, often at the expense of compatibility with more mainstream brands. 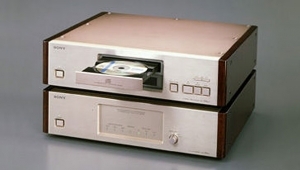 But in 2000, when Naim released their new 5-series products, the faithful sensed that the company had broadened its palette: Naim speakers were introduced that could be moved away from the walls, and Naim amplifiers and CD players appeared with standard, consumer-friendly connectors such as RCA jacks on their back panels, alongside the company's usual DINs and BNCs. Reasonably enough, the hi-fi press began to wonder: Does all this signal a change in Naim Audio's music-over-sound approach? Will the cussedly independent English firm have to move toward the mainstream in order to prosper and grow in these uncertain times? 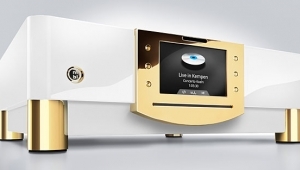 Those questions may be answered, in part, by Naim's recent move to replace some of their 5-series products with an upgraded 5x series—this new CD player, the CD5x, is among that first wave. 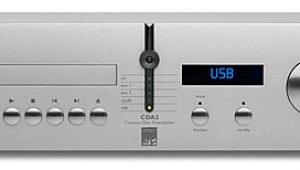 Like its immediate predecessor, the CD5x is descended from the CD3 (footnote 1), Naim Audio's original entry-level CD player. 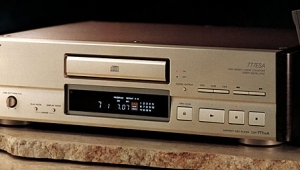 Introduced in 1995 at a price of $2000, the CD3 also marked the debut of Naim's ingenious swing-out transport tray, which gave an added measure of mechanical isolation to the drive hub and laser sled—and allowed Naim to dispense with a motorized drawer, on the assumptions that the money is better spent on things that affect music quality, and that most audiophiles are indeed capable of opening and closing a disc tray under their own power. 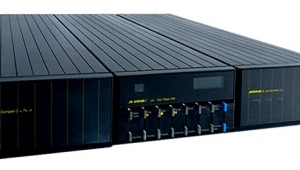 The CD5x keeps the swing-out tray—a refined version of the original, with a new internal circuit board design—but the transport assembly has been upgraded to a Philips VAM1202. 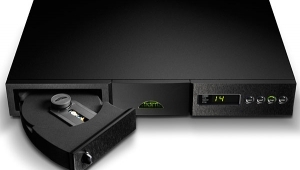 Digital/analog conversion is now done by a dual-mono 24-bit Burr-Brown chip, and the CD5x is the first entry-level Naim player to get a Pacific Microsonics digital filter. 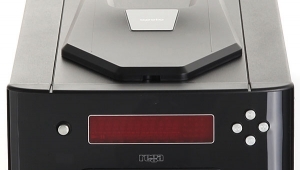 That wasn't done specifically to enable HDCD decoding, but rather because Naim believes the PMD200 chip is the best-sounding digital filter available, in part because it allows digital words to be redithered once they're been (re-)created. 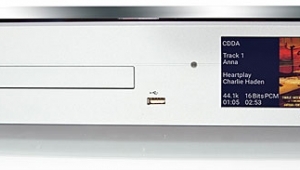 The CD5x's main circuit board, which is shaped more or less like Idaho, is a double-sided thing that contains the power-supply circuitry along with the digital audio chipset and supporting components. Here, as elsewhere, Naim Audio's taste for tight control of working voltages is evident, with no fewer than 19 discrete regulators. And for the first time in an entry-level Naim player, the analog circuitry now has its own separate, one-sided board, sporting even more of the favored LM317 regulators, and with discrete components for current-to-voltage conversion. The new player is built into the same style of enclosure that made its bow with the earlier 5 series: a conservative and neatly finished aluminum casting of surprising heft for its size. (Unlike the CD3's comparatively thin "clamshell" enclosure, this one doesn't ring when rapped.) The housing is done up in textured black paint and is separated from the rest of the world by a set of specially designed two-piece isolation feet. 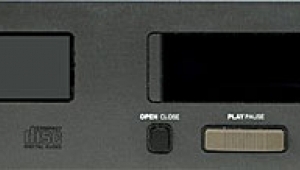 Audiophiles may be surprised not to find a digital-out jack of any sort on the back of the CD5x: Naim believes that a short and unobstructed path from a digital system's transport to its input receiver is one of the keys to good musical timing, so they prevent the use of an outboard D/A converter. 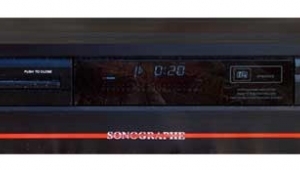 The CD5x does, however, have a DIN socket that can be connected to either a Naim FlatCap 2 or HiCap 2 outboard power supply ($1000 and $1750, respectively), in which case the player's analog circuits get the fresh DC. Previous experience with the brand leads me to expect at least some gain in sonic performance from such an upgrade, although in this case I wasn't able to try it before deadline. 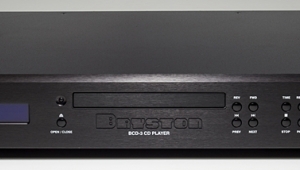 The rear of the CD5x has two sets of analog-out jacks—a pair of gold-plated RCAs alongside Naim's usual five-pin DIN socket—that are selected electronically, from the remote handset. 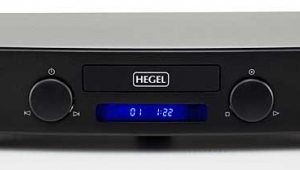 It's possible to set up the CD5x so that output voltage appears at both outputs simultaneously, but Naim says better performance will be had by selecting only one or the other; I tried it, and confirmed that the sound is indeed very slightly veiled if the unused output is left active. Because I have DIN-to-RCA and RCA-to-RCA interconnects here at home, I tried both output types during the review period—but because I have no cables that are precisely the same in every way except their source termination, I didn't compare the hookup schemes. 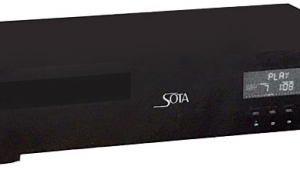 In common with other Naim CD players, the CD5x's user has little to do other than power the thing on with a back-mounted switch and leave it that way 24/7, except perhaps during electrical storms: This is one product that needs at least a brief warmup before sounding its best. Apart from that, all that's required is to tug on the transport drawer, place a disc on the hub, clamp it with the supplied magnetic puck, and push the drawer back in. 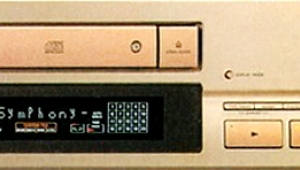 The CD5x looks for a table of contents whenever that drawer is re-closed, and the music is ready to play in about three seconds. I'd heard the same thing often enough that I didn't expect it again: How many times can I substitute a Naim component for another brand and think it might bring my system's rhythmic performance into sharper focus? But that was precisely what happened with Naim's new CD5x, right out of the box. In the words of historian Shelby Foote, it was just the sort of thing you'd expect, once you've learned to expect it. "Nashville West," from The Byrds Live at the Fillmore (Columbia/Legacy CK 65910), simply rocked—yet with fine spatial performance and convincing timbres, the sorts of things that weren't a big part of the original CD3 package. Carrying on to the next track, the boozy "You're Still On My Mind," I heard much the same combination of qualities: Roger McGuinn's voice and Clarence White's solo guitar both had good presence and a natural "feel," and John York's electric bass and Gene Parsons' drums kept clocklike time. Tom Petty's "The Last DJ," from the album of the same name (Warner Bros. 48396-2), hit the ground running, laying to rest any questions about Naim having abandoned their pursuit of unimpeded, unfettered, unadulterated rhythmic relentlessness: The song moved forward as well as I've heard on any digital rig at any price. 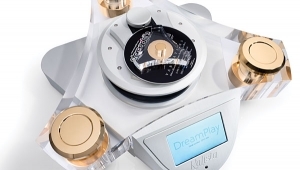 With the CD5x, it was hard to remain seated when listening to this track; when I did sit down, I invariably found my foot tapping—Art Dudley, the world's most underrated player of the imaginary kick drum—and the heel of my right hand pounding the armrest of my puritanically hard chair, once per measure. Sonically, compared with the best digital I've heard, the Naim wasn't quite as "open" or detailed on that disc or the ones that followed. It didn't entirely catch the neat, smoothly stringy tone of the Hammond organ in the background of the next song, "Money Becomes King." And it lacked just a bit of timbral sparkle and ambient "air" on the best pop and classical recordings in my collection—but not to a degree that detracted from my satisfaction overall. Stereo imaging was surprisingly good with this newest Naim, as I heard when I dusted off my copy of The Band's Live at Watkins Glen (Capitol CDP 8317 225) for the first time in months. That album may be a phony—apparently only two selections were actually recorded at the festival it's named for, and portions of another were recorded in a studio, with applause dubbed over the front and tail—but it's great music nonetheless, and includes a fine, rhythmically nuanced performance of Chuck Berry's "Back to Memphis." Beyond the beat, the CD5x did a good job of conveying the drum kit's placement on stage, and the ride cymbals had the combination of hear-around quality and believable tone that was probably once the sole province of analog.